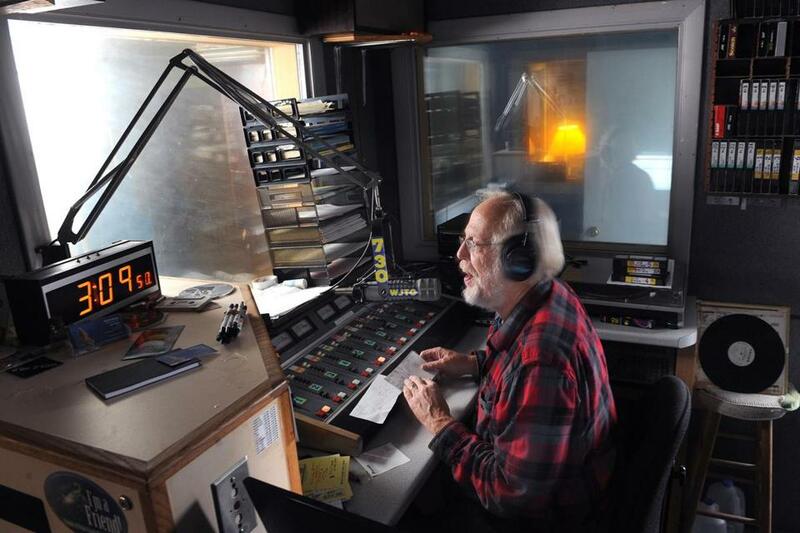 Bob Bittner runs the Cambridge radio station WJIB and others from a remote location in West Bath, Maine. Back when people still drove Ramblers and DeSotos and Oldsmobiles, the easy-listening music of Cambridge AM radio station WJIB was standard fare. These days, when you tune to AM 740 and Sinatra and Elvis and Nat King Cole come tumbling out of the car speakers, it’s an exotic treat. Bob Bittner, who runs WJIB and three other New England radio stations from his home in West Bath, Maine, gets at least as much pleasure as his listeners from broadcasting the good old stuff. Bittner, 66, estimates he could sell his stations for about $4 million. Instead, he and his wife, Raisa, live on Social Security and about $15,000 a year earned by selling collectable license plates on eBay. Bob Bittner hates commercials, so he doesn’t play them. Still, Bittner got his first radio job in 1970 playing “Woodstock-type hippie music” on a station in Rochester, N.Y. It was during his senior year at the Rochester Institute of Technology, where he studied graphic arts and photography. He started broadcasting at a Boston disco station in 1979; in the late ’80s he launched a free newspaper that featured personal ads. 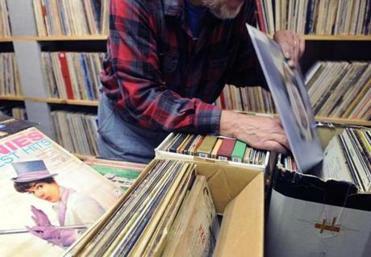 The success of that venture gave him the money to buy bankrupt Cambridge AM radio station WLVG for $277,115 when it came up for auction in 1991. Since then, he’s added three Maine stations to the mix: WJTO-AM in Bath, W252BT-FM in Freeport, and WJYE-AM in Gardiner. All four stations play the old-school music Bittner loves — classic country, big band, show tunes, Motown, and early rock ‘n’ roll. Bittner hates commercials, so he doesn’t play them. He used to support the stations by selling “brokered time” slots so businesses and churches could run their own shows. Now he scrapes up the stations’ $98,000 annual budget entirely from listener contributions. He goes on the air every couple of hours and asks listeners to mail him a check. Bittner said about 2,300 people came through last year, and he’s confident the 250-watt station’s audience is many times larger than that. “I probably have more listeners per watt than any other station in America,” he said. 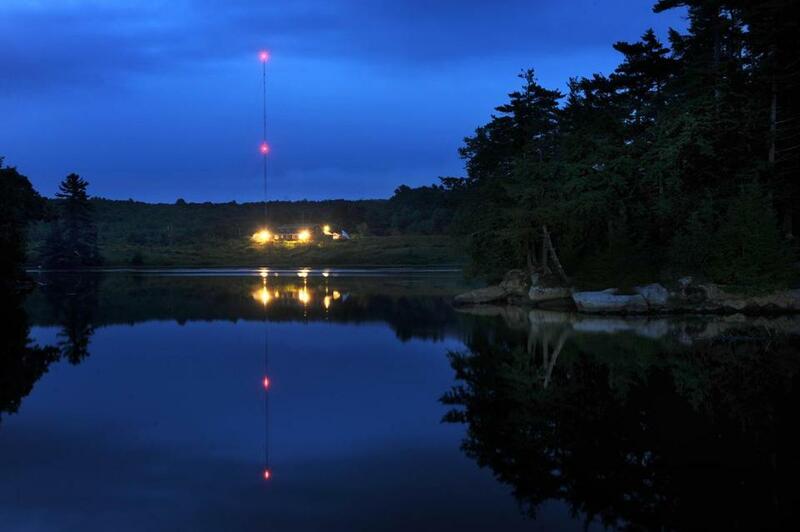 WJIB, run from this remote West Bath, Maine, location, is supported entirely by voluntary donations from about 2,300 avid listeners. Know about an interesting job or workplace? Tell us about it at yourstoryhere@globe.com.